Moving is never easy. Whether you are talking about packing up and changing zip codes or detaching equipment and moving it to the next utility pole over, there is something uniquely bothersome about the simple act of relocation. In another typical type of move, it might be the junk drawer that causes the most problems or the ten tons of books you forgot you owned. In joint use, it is likely lagging attachers (who may not even realize it's their turn to go) or it could be your own transfer backlogs, where as an owner, you are also an attacher. No matter the type of relocation, the effect is the same: moving on is never easy. We are with you and recognize your stress in the following realities regarding relocating equipment from one 40-foot piece of wood to another. Attachers do not seem to be going anywhere. As a pole owner, you have already moved your equipment, but other attachers on the pole have neglected to make the jump. It is nearing the end of the grace period defined in their contracts, and you are considering next steps. However, you may want to stop and consider this: was your message to move received? By what method do you deliver notifications? Email? Mail? Carrier pigeon? Are you sure your attachers have been properly notified and that they understand the allotted timeframe to detach? They may want to do the right thing and we assume they do. If they are still hanging around, they may not know it's their turn to move. Stressful? Yes. Daily work gets in the way. From business as usual to lingering backlogs, at the end of the day (or week, or month), there never seems to be enough time or resources to complete every joint use task in a timely manner. This is typical moving day stress. You may be trying to "do it alone" in your department or may be less than optimally organized and certainly you do not have loads of time, which means logjams of work can happen. Whether it's a stack of backlogged notifications on your desk or several unread emails—the feeling of frustration is the same. Does it make you sweat? Probably. What is done is not always done (and vice versa). Long after you have requested a pole transfer and the move is assumed to be resolved, how certain are you that the work was completed? Field assessments typically turn up surprises. In our work, we've discovered many attacher transfers that were completed—when it was assumed they were not. Alternatively, many that were assumed to be finished, have instead resulted in troubling double wood. Without recent inventory data or a reliable asset tracking database, you cannot know for sure. Can that uncertainty keep you up at night? Definitely. What can take stress away? Hiring movers, or more specifically, getting the help of a managed services partner to ease the transition of assets and attachers from one utility pole to another. 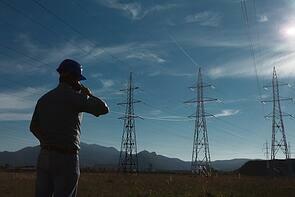 Utility asset management works well as a team effort between your company and an efficient, effective partner. Third party services offer a variety of engagement levels and timeframes, from temporary, supplemental staffing to full-service joint use department takeovers in short bursts or for the long haul. Some also offer software solutions and process development designed specifically to streamline and even automate much of the work of a transfer, permit or detach notice, from communication to documentation. Moving on is hard to do—if you do it alone. Find support and hire "movers," and transferring assets pole to pole might just drop to the bottom of the joint use stress list. Are you currently working with a third party joint use managment company? How is it working for you? Any specific pros or cons? Answer in the comments below.